Dermal Filler Eyelid Lift surgery restores drooping upper eyelids and revives puffy lower lids (bags under the eyes). Eyelid Surgery can result in a more alert, youthful appearance without an extreme makeover. Mid Facelift The mid face is the area from the lower eyelids to the nasolabial folds, which are the lines from the nose to the corner of the mouth. Over time, the mid-face area descends and loses volume (flattens). This can cause a person to appear more tired or older than they are. 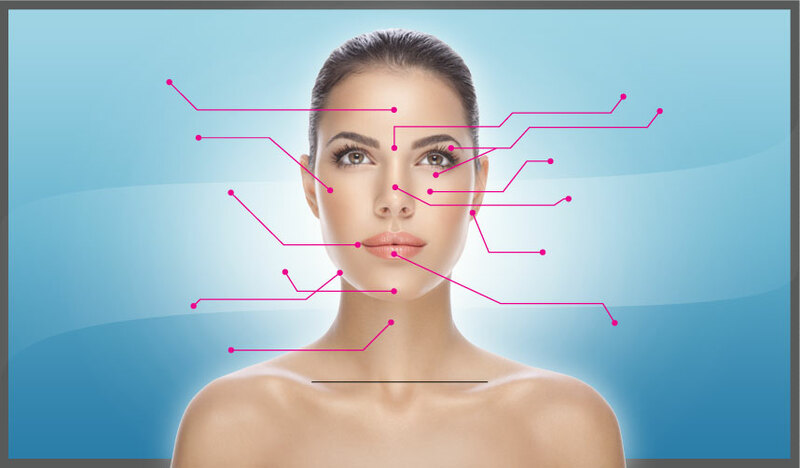 Facial Therapies Laser Skin Resurfacing DOT Laser Skin Resurfacing reverses the appearance of aged or sun damaged skin, softens minor wrinkles and fine lines, reduces skin blemishes, and tightens and smoothes the face with minimal down-time. The use of DOT Therapy (Dermal Optical Thermolysis) is a fresh new way to transform skin and enhance its overall appearance. Chemical Peel Chemical peels are helpful for wrinkles, light acne scarring and irregular pigmentation such as freckles and age spots. Pre-cancerous conditions such as keratoses (thick, rough, reddish growths) also respond well to this procedure. PRGF & Stem cell InjectionThe aesthetic treatment with Plasma Rich in Growth Factors PRGF® is one of the latest advances in facial rejuvenation (Facial Antiaging). It is a new technique that allows the surgeon to isolate and use the growth factors (biostimulating substances) from a patient's own plasma in order to stimulate, potentiate, and accelerate tissue regeneration. Dr. Todd Sawisch is the only Maxillofacial surgeon in south Florida incorporating the use of amniotic stem cells into facial plastic surgery and facial rejuvenation procedures. Combining stem cells and plasma rich in growth factors from a patient’s own blood, has resulted in advanced healing and virtually undetectable incision lines. Dr. Sawisch also uses stem cells & PRGF for facial rejuvenation through an injectable treatment completed in office in one hour. This procedure promotes collagen regeneration, as well as improved skin tone and texture. Please ask us how to best compliment and enhance your results with a combination of different facial therapies. to increased self esteem and an overall rejuvenation of the face, mind and soul. We are here to answer all your facial cosmetic questions. Please feel free to contact us at 954.772.2000. Our team of skilled cosmetic professionals stand ready to help. Dr Todd Sawisch is a facial cosmetic expert dedicated to delivering elevated results that last a lifetime.